National Council of Resistance of Iran says Iran has been hiding from the West an "underground top-secret site" that is enriching uranium. A group of Iranian dissidents said on Tuesday that Iran has an "underground top-secret site" that is enriching uranium intended for nuclear weapons and which has been hidden from the West for years, Fox News reports. According to the Iranian opposition group, the National Council of Resistance of Iran (NCRI), the complex, called Lavizan-3, is right outside Tehran, "buried deep underground in tunnels and underground facilities" with "radiation-proof doors" to prevent any leaks that could be detected by the United Nations International Energy Agency (IAEA) inspectors. The revelations were unveiled during a Washington, DC, news conference by the NCRI, which first exposed elements of Iran's covert nuclear program in 2002. "This site must be inspected," Alireza Jafarzadeh, deputy director of the NCRI's Washington, DC, office, said, according to Fox News. "There is no way in the world you can assure Tehran is not developing nuclear weapons if you can't inspect those sites, especially if you are talking about a regime that has over two decades of a track record of lying and cheating and deceiving the whole world,” he charged. The NCRI describes the underground complex as having an elevator that "descends several stories, deep underground, and opens into a 650-foot tunnel, which leads to four parallel halls. Because the ground is inclined, the halls are deeper underground," by as much as 164 feet below the surface. "If the United States is serious about preventing the Iranian regime from obtaining nuclear weapons, it must make the continuation of talks conditional on the IAEA immediately inspecting Lavizan-3 site," said Soona Samsami, the NCRI's United States representative. "Any delay in doing so will enable the Iranian regime to destroy the evidence as it has done in the past." 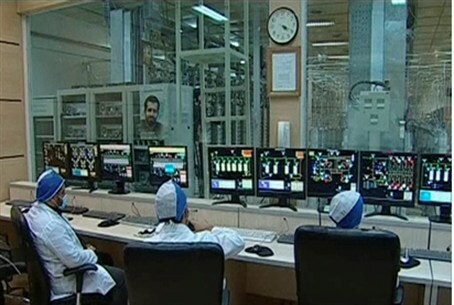 The NCRI says that the Iranian regime has secretly used the site to enrich uranium with advanced centrifuges since 2008, and is part of a long pattern of hiding its true nuclear activities in order to deceive the world powers. "The notion that the Iranian regime will abandon their nuclear weapons program is misguided and a product of mullahs' duplicity and Western economic and political expediency," said Samsami. The NCRI said that the revelations show that Tehran "has been continuing to lie for more than a decade and has deceived the world community. Research and Development with advanced centrifuges in highly secret sites are only intended to advance the nuclear weapons project. While the regime deceived the world into believing that it had halted its nuclear weapons program in 2003, it had been, in fact, heavily involved in excavating tunnels and preparing this nuclear site from 2004 to 2008. It has clearly lied." The NCRI exposed Iran’s uranium enrichment plant at Natanz and a heavy-water facility at Arak in 2002. In 2007, the NCRI declared that Iran had resumed its nuclear weapons program since at least 2004, one year after being ordered to shut it down. In 2013, the group claimed that it had information on a new and covert site designated for Iran’s nuclear project located in the central Isfahan province, inside a heavily guarded 600-meter tunnel. Iran rejected those claims as “baseless”. Tuesday’s revelations come as Secretary of State John Kerry had been meeting with his Iranian counterpart, Iranian Foreign Minister Mohammad Javad Zarif, over the weekend in Geneva about the nuclear program. The world powers are trying to reach a deal for a political agreement on Tehran's nuclear activities by the March 31 deadline. The goal is to stop Tehran from having the ability to build a potential nuclear bomb. In return, the West would drop billions of dollars of sanctions that have hurt the Iranian economy. The NCRI said it is skeptical that any agreement will stop Iran from having a nuclear bomb within its reach. "Those who hope to secure the regime's cooperation in the campaign against fundamentalism by offering nuclear concessions to the mullahs are both increasing the chances of a nuclear-armed Iran and contributing to the spread of Islamic fundamentalism," the NCRI said, according to Fox News.